Please fill in the form to submit to your cake order request. We will get back to you to confirm our availability and the cost before proceeding to payment. Please note, our written confirmation and full payment is required before the order is confirmed. We also offer a completely bespoke celebration and wedding cake service. Get in touch to discuss and place your order. Find this in the description below the cake image. Please see the flavour list below. Size * 6” – serving up to 12 party portions (or 20 finger portions)	8” – serving up to 24 party portions (or 40 finger portions)	10” – serving up to 35 party portions (or 60 finger portions)	Size not shown. Buttercream cakes start from 8”. For larger sizes than shown or for two tier cakes, please specify the amount of portions or the size required in ‘Additional Info’ below. Please include the message you would like piped on the cake. The placement will depend on the design and the colour will match the cake (approx. 30 characters / 5 words max). Minimum order of 24 cupcakes. Cupcakes can be ordered by the dozen (i.e. 24, 36, 48 etc.) Lace wrappers not included. If you want to order these please let us know in ‘Additional Info’ below. Please include the date you need the cake/s delivered. Please enter your delivery address above and we will confirm the delivery price with you. Nationwide deliveries available. For international deliveries please use our ‘General Enquiries’ form. Collection from our studio in SE4 is also available free of charge. Please note we cannot guarantee exact delivery times. We will get back to you to confirm availability with an approximate timeframe for delivery. Cake stand hire starts from £40 with £100 security deposit. Please include any additional information or requests here, including different icing or decorative colour requests, or any other decorative customisations. We’ll get back to you to let you know if these are possible and the cost. Please provide as much detail as you can about the cake or dessert table you would like and we will get back to you by phone or email to discuss further. We also offer a completely bespoke wedding cake service. Get in touch to discuss and place your order. Please enter your delivery address below and we will confirm the delivery price with you. Nationwide deliveries available. For international deliveries please use our ‘General Enquiries’ form. Collection from our studio in SE4 is also available. If you’d like to hire a cake stand/s please let us know here (wedding cake stand hire starts from £40 with £100 security deposit). Dessert table stand hire quote is based on final dessert table. We would love to meet you in person for a Consultation and Tasting at our London studio. 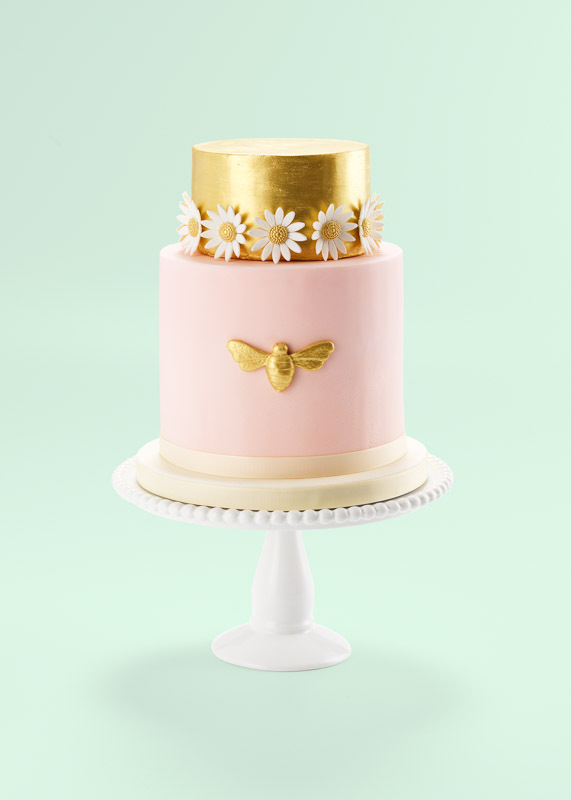 As well as an in depth consultation on the design of your cake, you’ll be able to meet the team, take a tour around the studio, see our beautiful display cakes, and of course taste our range of cake flavours. There is a non-refundable consultation fee of £50 which is deductible from the cost of your order. We hold consultations on weekdays and on limited Saturdays. Please give us an indication of your preferred dates / availability in the box below and we will get back to you to arrange an appointment. We also offer a Cake Sample package (£30 posted within the UK, redeemable against orders over £750). Please tell us below if you'd like to order one. Please include any additional info about your cake or event here, including the name of any designs from our website you like. Please provide as much detail as you can about the cake you would like and we will get back to you by phone or email to discuss further. Please let us know if your enquiry is for a wedding cake, celebration cake or another type of cake or event. We would love to meet you in person for a Consultation and Tasting at our London studio. 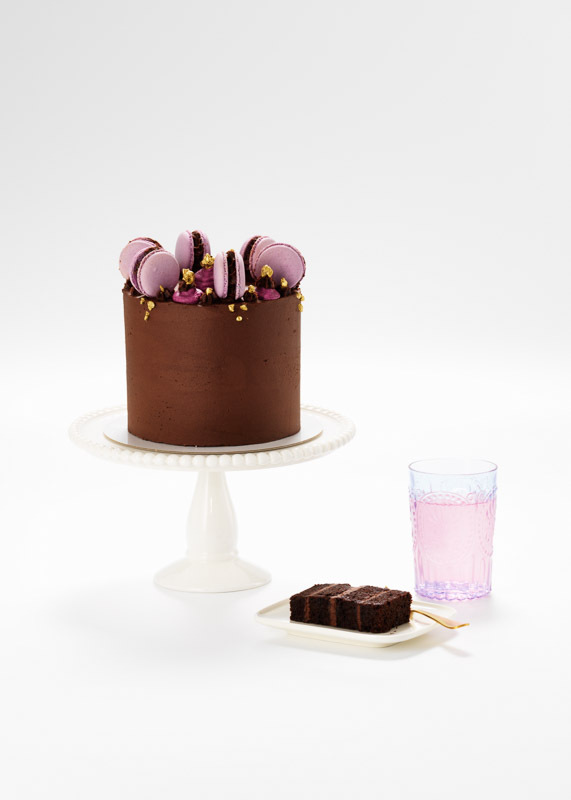 As well as an in depth consultation on the design of your cake, you’ll be able to meet the team, take a tour around the studio, see our beautiful display cakes, and of course taste our range of cake flavours. There is a non-refundable consultation fee of £50 which is deductible from the cost of your order. We hold consultations on weekdays and on limited Saturdays. Please give us an indication of your preferred dates / availability in the box below and we will get back to you to arrange an appointment. Please give specific date/s or an indication of when you are available and we will get back to you to arrange an appointment. Please provide as much detail as you can about the cake or items you would like and we will get back to you by phone or email to discuss further. Please let us know the type of item you require and as much information about the decoration and flavour as possible, including whether you require gift packaging. Please fill in any additional details about your event/request here. Please provide as much information as you can below and we will get back to you by phone or email to discuss further. Please get in touch with us via the enquiry form above, or by email / phone to make an enquiry, place an order or book a consultation (see contact details above). We can discuss and confirm your order by email and phone, or during a Consultation and Tasting. Please kindly note that we recommend booking as far in advance as possible as we do book up quickly! We would love to meet you in person for a Consultation and Tasting at our London studio. 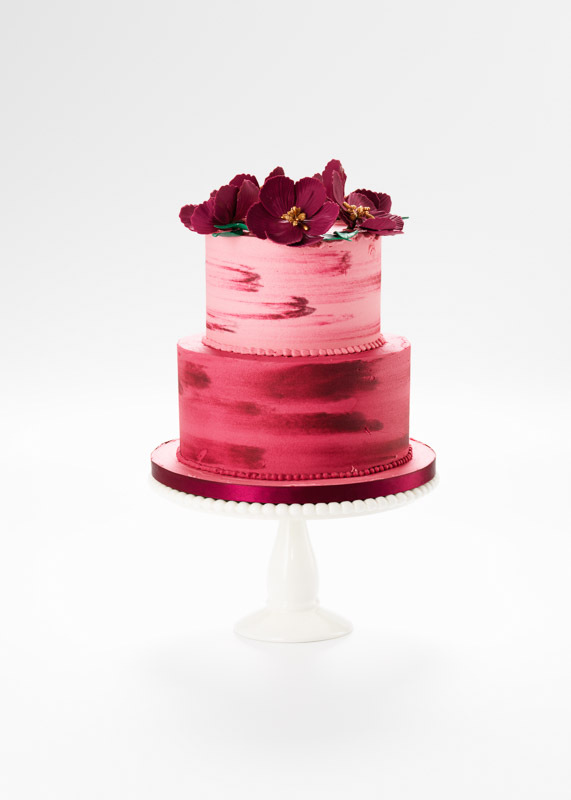 As well as an in depth consultation on the design of your cake, you’ll be able to meet the team, take a tour around the studio, see our beautiful display cakes, and of course taste our range of cake flavours. There is a non-refundable consultation fee of £75 which is deductible from the cost of your order. We hold consultations on weekdays and on limited Saturdays. Please give an indication of your preferred dates/availability when you contact us and we will get back to you to arrange an appointment. Pay the consultation fee online or by card over the phone. Consultations are by appointment only and appointments must be confirmed with Rosalind Miller Cakes in advance of paying the fee. We also offer a Cake Sample package (£30 posted within the UK). A finger portion is a 1″x1″x4″ rectangular slice. A party portion is a 1″x2″x4″ rectangular slice. The final price depends on the size and design, and cakes with more elaborate decoration will fall at the higher end of the price range. There are many size options and variations available so do get in touch with us via the enquiry form above, or by email / phone to make a bespoke enquiry. A 6″ cake serving approx. 12 party portions or 4-8 wedge portions generally ranges from £170 to £515. An 8″ cake serving approx. 24 party portions or 10-14 wedge portions generally ranges from £215 to £655. A 10″ cake serving approx. 35 party portions or 12-22 wedge portions generally ranges from £325 to £835. A two tier fondant iced cake serving approx. 45 rectangular finger portions (1”x1”x4) or approx. 24 rectangular party portions (1”x2”x4”), generally ranges between £415 to £1,220. A three tier fondant iced cake serving approx. 95 rectangular finger portions (1”x1”x4) or approx. 55 rectangular party portions (1”x2”x4”), generally ranges between £835 to £2,450. A four tier fondant iced cake serving approx. 165 rectangular finger portions (1”x1”x4) or approx. 95 rectangular party portions (1”x2”x4”), generally ranges between £1,405 to £4,135. We require a 50% non-refundable deposit to confirm your order. The remaining 50% is due 6 weeks before the delivery date, at which point all changes must be confirmed (changes to the previously agreed design may incur extra fees). Orders placed less than 6 weeks in advance of the delivery date must be paid in full. As all of our cakes are home-baked, and we devote a lot of time to ensuring that each is perfect, we are only able to take on a certain amount of orders per week and get booked up quickly. It is therefore advisable that you book your cake well in advance. Orders are only confirmed once we have received a deposit or full payment. We accept payment by card, bank transfer, or cash payments. All of our cakes contain WHEAT FLOUR (GLUTEN), EGGS and MILK, and may contain SOYA and SULPHITES. All of our products are made in a kitchen that handles NUTS. For any specific allergen queries please feel free to get in touch with us. Our gluten free options are made with gluten free ingredients, however, may contain traces of GLUTEN as they are made in a kitchen handling wheat. Gluten free flavours are NOT suitable for people with coeliac disease. You can hire your cake stand from us. We offer pedestal stands (for tiered and single tier cakes) and 7 tier perspex stands (for cupcake towers) for a £40.00 hire fee. There is a security deposit (starting from £100.00 per stand dependant on the type of stand), which is refunded to you after the stand is returned to us within 3 working days of hire (undamaged and in the same condition in which it was delivered). Delivery and set up of a wedding cake (and large or tiered cakes) within Central London costs £75.00. Delivery and set up outside of London will be quoted individually. Delivery of cakes that do not require set up will be quoted individually. Customers are welcome to collect cakes themselves from our studio in London. Cakes will be packaged ready for safe transportation (we can accept no responsibility for the cakes once they have left the studio).